It could be the fertilizer, but I am not sure. 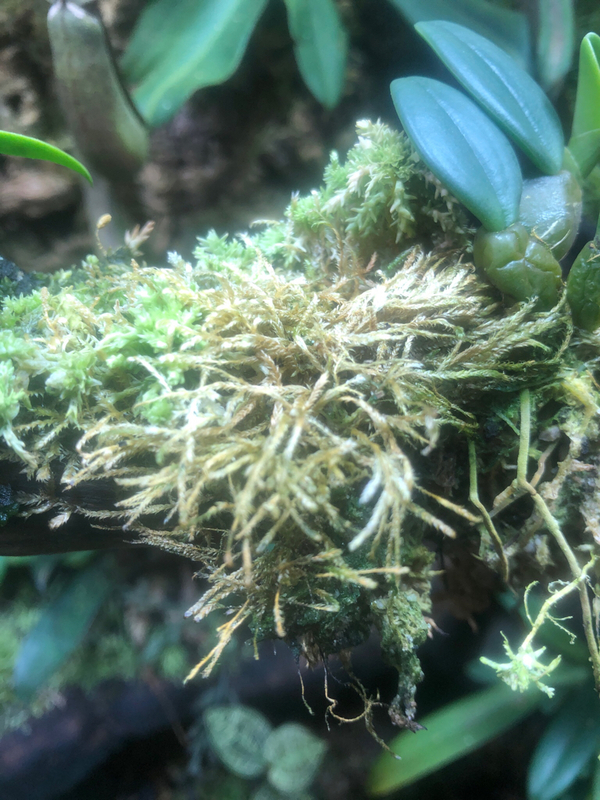 I don't have experience (yet) growing moss with plants that I am fertilizing, but I know in the carnivorous plant world, growers discuss that many fertilizers kill sphagnum moss. The only fertilizer that is very common and widespread in that hobby is Maxsea because growers have found it to not harm sphagnum. CP growers don't tend to use too many other mosses, so I don't know if fertilizer affects other mosses (like yours) in the same way it affects sphagnum, but there could be a connection. I had and still have the same problem but I dont use any fertilizer. I was thinking that it looked like they were drying out. Is that possible? Most mosses really don't like to dry out, in my experience. What type of lighting do you use? Might be time to change bulbs? Moss definitely doesn’t like fertilizers, tap water, drying out, or low light...any of these can turn moss brown. Im thinking it may be low light and poss the fertilizers. Mistking twice a day for 20 sec each. New 4 x 13 w Jungle dawns but poss not enough.trying to figure that out now. Perhaps drying out and if you just changed lights they may be shocked and need time to acclimatize. This is true and something that needs to be considered. Yeah, The strange thing is that the ferts have been applied uniform across the tank and on the same moss growing in other spots. That said I have stopped spraying fert on the mosses all together. I have noticed new growth showing through the dead patches so maybe I close to the tipping point for all mosses regarding the amount of ferts and I went over that point with this patch. The deduction and education continues. Glad to hear your moss is bouncing back. I hope that it returns to its former glory. With that said. Evenly spraying fertilizer water is not going to prevent the accumulation of salts and minerals, particularly if you are fertilizing too frequently, regardless of the fertilizer concentration. You can also run into this problem if you are using hard water to mist/water your tank. Even if you flush thoroughly, the excess salts and minerals will make their way to the false bottom, where they can accumulate to a dangerous level, unless you have the means to drain the false bottom. Just something to consider. But sounds like you are on the road to recovery.